Plexiglas is a form of plastic that you can see through. It is used to make shower doors, motorcycle helmet visors and the protection walls in hockey arenas because of its low cost. Plexiglas is easy to clean, but is also just as easy to scratch. 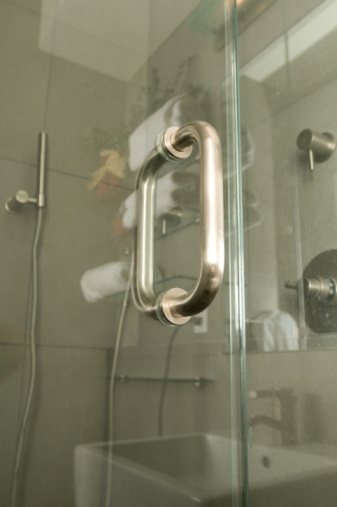 If you have a shower door made of Plexiglas, you can clean it and then work on removing the scratches. Open a bottle of Ivory dish soap and pour a line of it across the top of your shower door from left to right. Give it a minute to drip down the shower door. Fill a bucket with warm water and dip your squeegee in it. Now run the squeegee from the top of the shower door down to the bottom. Do this several times until the door looks clean. Rinse the squeegee out and then wipe down the shower door one more time with plain water to make sure you get all of the soap off. 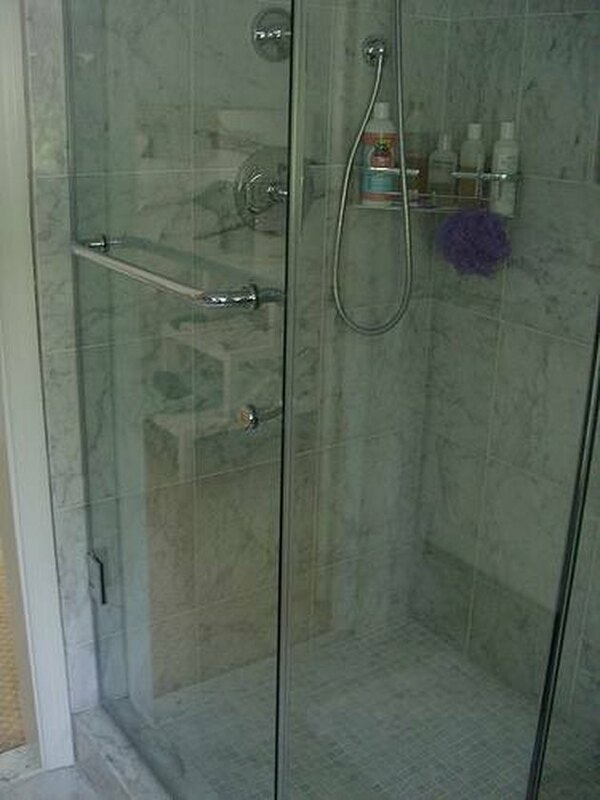 Dry the shower door with a towel immediately after rinsing. Repeat steps 1 through 4 on the other side of the door. Pour a bottle of vinegar in a bucket and then fill the vinegar bottle up with water. Pour that in the bucket and apply to the shower doors if the Plexiglas shower doors have a hard-to-remove film on them. This is not necessary for normal weekly cleanings; only do this if your shower door begins to experience a build-up of some kind. Allow the vinegar/water solution to remain on the doors for about an hour and then wash the doors following steps 1 through 4.